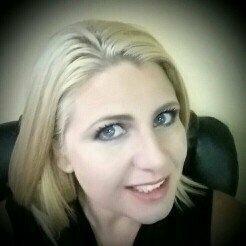 💖Mom to 4 kiddos🍷🔫🎨Hobbies are...Drinking Wine, Shooting, & Painting. Aussie Miracle Clean 2N1 Shampoo smells great and has a nice fluffy lather. I think it works best for an over oily scalp and produces volume for hair that normally is weighed down. For my bleached hair, it made my hair feel dry and unconditioned, hence my 3 star review. I received this product from Influenster for my unbiased review. Personally I use this product as a leave in treatment after shampoo and conditioner for my bleached, wavy, thick hair. Even my hair dresser was amazed at my results, I’ve gone through 2 bleach sessions with no trimming needed, no split ends all because of combining Pureology and Olaplex into my hair regimen. Love the scent, the feel, and results of Pureology’s Hydrate Superfood Treatment. Most people can’t believe how healthy my super bleached blonde hair feels, this treatment is essential to my hair care regimen. Not as purple as I’d expect a Blonde Mask to be, didn’t feel a difference after the treatments either. All in all it was a big disappointment to use this mask. It did smell good as most redken products do, hence 2 stars vs 1. I’ve had issues in the past with Delta Airlines, but they seem to be stepping up to the game lately. Love, love, love! I received this product from influenster for my unbiased review. I usually don't use drugstore brand beauty products, however this one has restored my faith. It applies smooth and doesn't age my 40 year old lips. Stays on all day. I absolutely love how smooth tarte's shape tape 12-hour eye primer stick is. Super easy to apply and the results last all day! 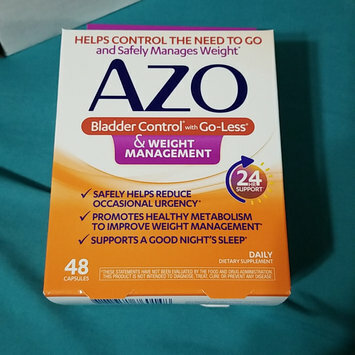 Looking forward to using AZO bladder control and weight management given to me by influenster! AZO is my go to anytime, I feel like bladder needs a little cleansing and I hoping for similar results from a brand I truly love! Johnson's Bedtime Baby Moisture Wash is my preferred go to till my children were 3 years old. (I have 4 of them). I love the soothing lavender scent that relaxes the littles and allows for better sleep. It's the perfect aromatherapy for your baby, followed with a massage of bedtime lotion, your bambino will sleep in no time.